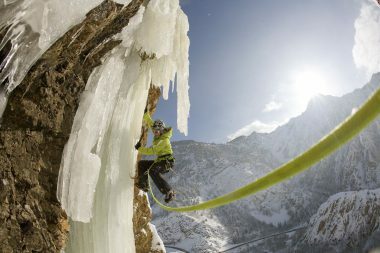 Where: Cogne Italy, provides consistent ice year after year. It is a cozy little town located above the Aosta valley about 1.5 hours drive from Chamonix or Martigny. The town has a great ambiance and the climbing is both scenic and suitable for any level. Who: Anyone with a sense of adventure can partake in this program. You don’t need previous climbing experience to sign up. However, we try and keep similar ability levels in the same group so consider signing up with a friend or doing a private trip. What: We will do two days of ice climbing where you will be introduced to the sport of ice climbing. We will cover movement, safety and the basic rope work for climbing single and multi pitch climbs. The first day we will cover the basic rope work and focus on climbing technique. 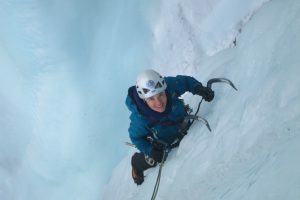 On the second day we will to ascend a multi pitch ice climb! When: We will run this program all winter long from January until March. Please contact us if you would like to reserve a weekend or, even better, a couple of days during the week to help avoid crowds! Includes: Transportation costs, one night lodging with breakfast and dinner, technical gear (axes, harness, crampons, helmet, belay device) and all the guides expenses. As always, if you have previous experience we can customize this program to suite ability and desires!